JONATHAN LETHEM is the New York Times bestselling author of nine novels, including Dissident Gardens, The Fortress of Solitude, and Motherless Brooklyn; three short story collections; and two essay collections, including The Ecstasy of Influence, which was a National Book Critics Circle Award finalist. A recipient of the MacArthur Fellowship and winner of the National Book Critics Circle Award for Fiction, Lethem's work has appeared in The New Yorker, Harper's Magazine, Rolling Stone, Esquire, and The New York Times, among other publications. 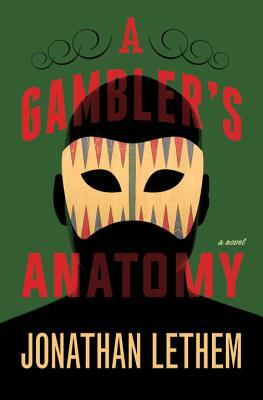 "In his new novel, he seems to be channeling (and, as usual, transforming) both Thomas Pynchon and Ian Fleming...in short, just another day in Lethemland, as strange and wondrous in its way as anyplace imagined by L. Frank Baum." "A thoughtful, first-rate novel that also happens to be a page-turner."